Crystal Mind™ was developed after years of research in co-operation with leading experts and international scientists. 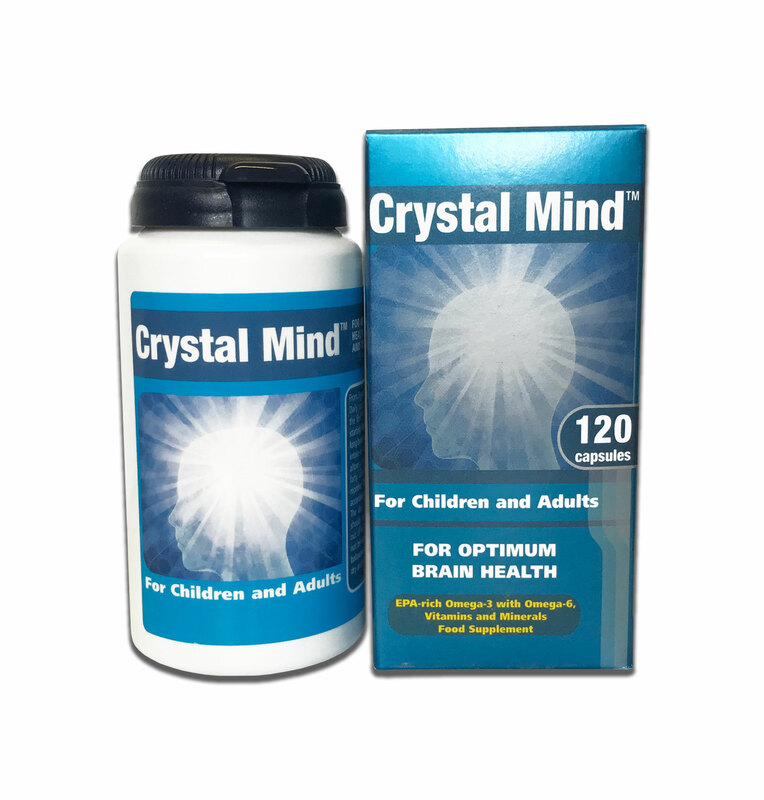 Crystal Mind™ is a ground-breaking product for people of all ages. It provides pure and natural fish oils, so they contain as high levels of Omega-3 EPA as possible. These oils are the brain’s most important fatty acids for its normal day to day functions. 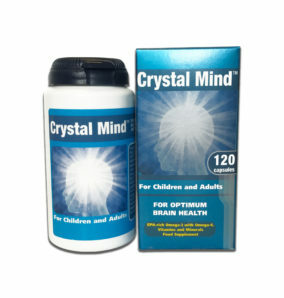 In addition, Crystal Mind™ is enhanced with vitamins and minerals such as B6, B12, D3, folic acids, zinc and magnesium. As a result our product is ideal for everybody from 3 years of age and upwards. Crystal Mind is a superior choice of nutrition for all the family.